The SINEAD bracelet is a re-interpretation of the classic tennis bracelet. This time with heavier links of colored semi-precious gemstones. 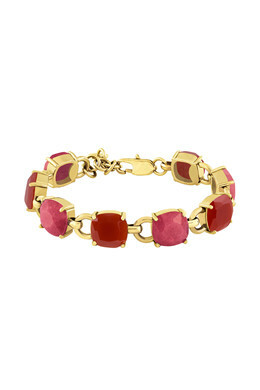 Shown here in a gold toned finish with carnelian stone and red jade.